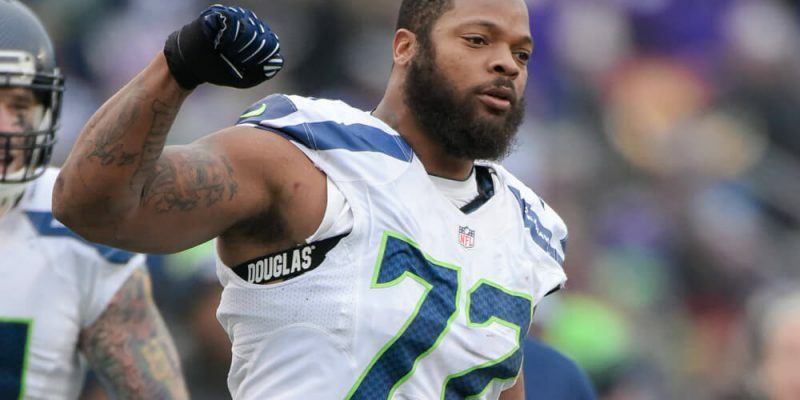 A Harris County grand jury indicted Philadelphia Eagles defensive end Michael Bennett on Friday on the felony charge of injury of the elderly. He allegedly injured a 66-year-old paraplegic woman in a wheelchair who was working security at Houston’s NRG Stadium when Bennett’s brother, Martellus Bennett a tight end for the Patriots, won Super Bowl LI. The charge includes intentionally and knowingly causing bodily injury to a person 65-years-old or older. It carries a $10,000 fine and up to ten years in prison. Michael allegedly pushed his way onto the field after the Patriots won the Superbowl so that he could celebrate with his brother. According the police report, detectives heard conflicting stories about whether or not Michael had credentials. A paraplegic security staff woman who was working by the door got shoved by Bennett and claimed that he sprained her shoulder. He also made some foul comments to a police officer nearby, which Houston Police Chief Art Acevedo quotes in his public statement. I’m grateful that a guy who decides to push a 66-year-old black female paraplegic little old woman that’s trying to make a living making a fraction of what he’s making not only did they have to put up with his verbal abuse but had to put up with his physical assault. Here’s a question for NRG Stadium: Who made the genius decision to hire an elderly paraplegic woman in a wheelchair as security personnel? Why not hire her to sell popcorn– or tickets or t-shirts? Why put her in a job that she physically can’t perform? Both Bennett brothers were football stars at Alief Taylor High School and Michael Bennett’s charity helps needy children in the Houston area.